For many board games theme isn’t really that important. There are countless Mediterranean trading simulators and games that could use other themes without affecting gameplay. A game can really elevate itself when it thoughtfully incorporates its theme in to the mechanics. A few weeks ago, I had the opportunity to play Anachrony. 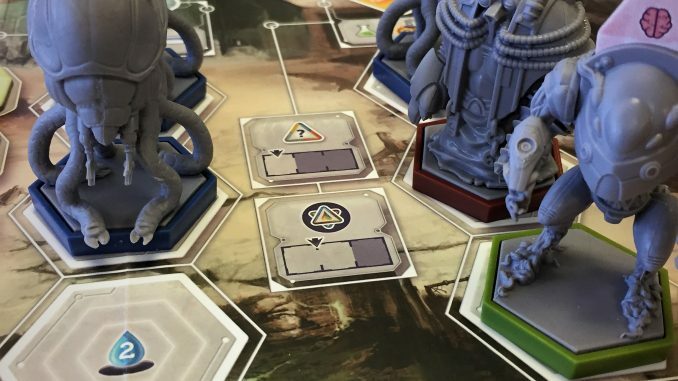 Anachrony is a worker-placement game which does a lot to place its theme at the heart of how the game plays. Here are my first impressions. 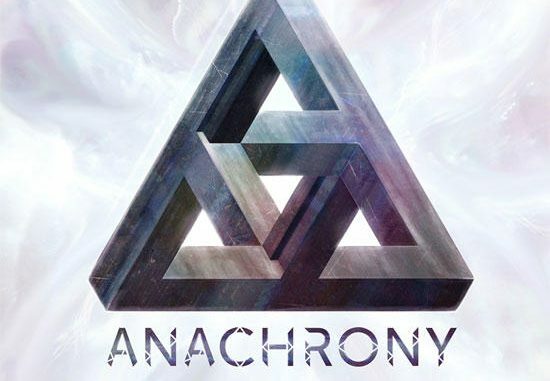 Theme – Anachrony takes place on a dystopian Earth in the 26th century. Most of the planet is uninhabitable and what is left of humanity is spread out and living in four different factions. Apart from the central city on the planet, the factions remain separate. The four factions have the ability to travel in to the past. The players need to evacuate the central city before the giant asteroid impact that triggers the end-game. Time travel – I haven’t played any board games that try to tackle time travel, but the way that Anachrony does it is fun and makes sense with the theme. At the beginning of each round, each player can choose from a variety of resources that they want their future self to send. The catch is that in future turns you have to make sure that you are able to send those resources back to the past or risk creating an anomaly. Anomalies take up space on your player board and have some other negatives associated with them. This mechanic might not be functionally different from taking loans in other games, but the way it’s presented fits perfectly with the game and makes for some interesting decisions each turn. Components – One of the highlights of this game is the completely unnecessary, but visually appealing miniatures. As I mentioned earlier, there is a central city which comprises the main game board. In order to place workers on this board, the worker needs to be placed in a mech suit to make the journey. In the standard version of the game, the mechs are just cardboard tokens that your workers are placed on. 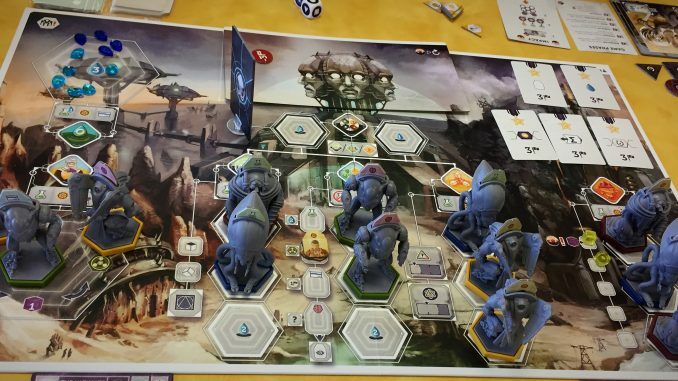 With the mech minis, the workers are actually placed in a mech and can then be placed on the board. The mechs really add a nice touch to the game and again help to really bring the theme to life. The other components in the game are really nice as well, including different art for the different worker types and different colored tokens to represent resources. Play time – Anachrony is a pretty long game for what is offered in the gameplay. Though I enjoyed it, other worker placement games can provide a similar experience in a shorter time. Of course just like any other game, play time will decrease with subsequent plays and more experienced players. 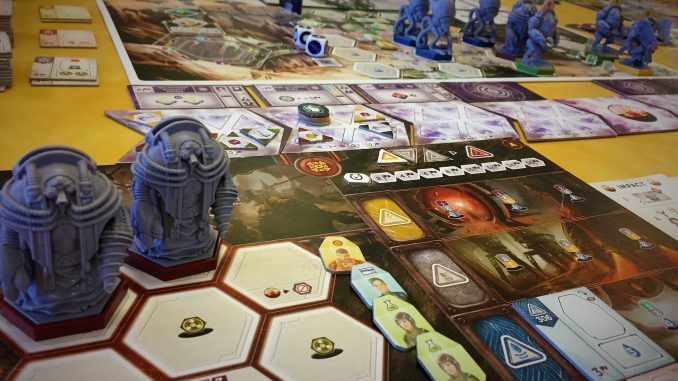 Lack of interaction – Again, this is a worker placement game through and through. The only player interaction comes from taking actions before another player. In the early rounds of the game it is likely players can play without having to pay attention to what the other players are doing. As the game nears its end there are some changes to the board that make interaction harder to avoid, but it takes quite a while to get to this point. Box size – This is a petty complaint, but I’m running out of storage space and this is something that I pay attention to these days. The box is a strange non-standard size that would make it awkward for me to store it. Months later, I’m still struggling with how to store Gloomhaven’s huge box. Now I’m actively trying to avoid other games with box sizes that won’t mix well with my current collection. Will I play it again? Yes! Anachrony is an appealing package as a whole. It offers interesting game decisions, excellent components, and a clever mechanic that perfectly fits with the theme of the game. I’m looking forward to giving it a few more plays and exploring some of the different decision paths the game offers.